Why do we have nothing but love for some brands—and, hate others with a passion? Repeat Customer is all about examining truly great customer experiences: How companies create them, and why superfans love them so much. CEOs, chief customer officers, and industry experts reveal the inside stories of how iconic companies rose to prominence by solving pain points, reimagining touch points, disrupting traditional business models, and staking their entire success on inventive, customer-focused approaches. And die-hard superfans share stories of their (sometimes) zany expressions of brand love. Hosted by Mio Adilman, produced by Zendesk. New episodes every other Monday. After conquering the male-dominated boardrooms of Wall Street, Sallie Krawcheck turned her attention to an underserved market worth at least $7 billion: women. But how do you transform a customer experience largely geared toward men, in a complex industry like investment banking? Sallie reveals how she created a uniquely gender-aware digital platform called Ellevest while Arielle O'Shea at NerdWallet describes its impact on the traditional banking industry. This season we're coming back with new episodes about eight game-changing companies who saw something missing in the customer experience from a wide range of industries including fintech, healthcare, media, and retail. We’ll explore all of that and more on season two of Repeat Customer, launching Monday, April 8. When entrepreneur Matt Meeker went shopping for his Great Dane, Hugo, he came away from their local big box pet store less than impressed with the unexciting products. So he decided to start a subscription service for dogs called Bark. But here's the question: when you're selling to furry friends, who is the customer experience aimed at? Humans or dogs? Hernan Giraldo, Bark's VP of Customer Experience Operations, outlines the company's "direct-to-dog" ethos. Expert Phil Chang aka Retail Phil describes the changing relationship between humans and their dogs and how this has revolutionized pet retail. Christy Hoffman, an anthrozoologist at Canisius College, weighs in on whether dogs can be customers at all. And host Mio Adilman hears from some pretty crazy dog moms and dog dads. When millennials Rich and Vicki Fulop couldn't afford the luxury bed sheets at their hotel in Las Vegas, they did the unthinkable: build a company to make the sheets themselves. In the process, they also created a customer experience, and brand loyalty, where none had really existed before. Brooklinen's Rich Fulop tells the story of how he bootstrapped a direct-to-consumer bed sheets company by focusing, at first, on the underserved millennial demographic. Fast Company's Liz Segran breaks down how revolutionary this was and retail expert Brandon Rael describes how traditional bedding companies were neglecting the customer experience. And blogger Carmen Griffith describes what can happen when you buy the wrong sheets. Eaze totally changed shopping for cannabis in California with its on-demand delivery app. But creating a leading customer experience for something that used to be illegal presents a whole set of challenges most companies will never have to deal with. Starting from the prohibition era and continuing through the medical marijuana years up to the current legalization of adult-use cannabis in California, we see how the retail and delivery industry has changed as the laws have changed. Sheena Shiravi, Director of Consumer Communications, and Mick Frederick, VP of the Customer Experience, both at Eaze, discuss how they are helping customers overcome the stigma of cannabis. Ricardo Baca, CEO of Grasslands and former marijuana editor at the Denver Post, provides an expert historical perspective of the industry. Adweek's Ann-Marie Alcantara explains how Eaze is taking cannabis digital. And Sky Siegel, General Manager for SPC Fleet, describes Eaze's impact on cannabis delivery. Cosmetics and beauty products might seem like a tactile pleasure best sampled and enjoyed with one's own hands, but Sephora has completely transformed the way we buy not just makeup, but also retail in general, with a digital-first, omnichannel customer experience. Altimeter's principal analyst Brian Solis and TechRepublic's Alison DeNisco Rayome take us behind-the-scenes of Sephora's Innovation Lab. Fashion journalist Lauren Hubbard recounts Sephora's original impact on the cosmetics retail experience. And superfans Barbara Hodder and Fabienne Rouzeau Valdes share their Sephora love. Workplace messaging app Slack provided a much needed centralized solution to teams that had been struggling to stay connected via a convoluted mish mash of email, Skype, text, WhatsApp. But with only eight employees, none of them in marketing or sales, the question became: "how to share this with the world?" Slack's Ali Rayl and Stewart Butterfield explain how various levels of the customer experience were key to its roll out and quick rise. James Allworth of the podcast Exponent explains why it stuck, and Nate Brown of the CX Accelerator breaks down Slack's exemplary customer support. While customers Kevin Susman of Matrixx Software, and Jeanette Jordan and Amber Carson Miller of the AdRoll Group, describe why Slack is now an integral part of their work day. When MoviePass dropped its monthly subscription fee to $10 a month, it introduced a radically different customer experience to moviegoers, and people headed back to theaters in droves. But did they know that Mitch Lowe, the CEO responsible for MoviePass's viral success was one of the guys partly responsible for the decline of movie theaters thanks to his work at another movie-industry-changing company? Trader Joe's is renowned for its folksy charm, super helpful staff, and of course, its cookie butter, but there's way more than that behind the supermarket chain's leading customer experience. We talk to retail guru Kevin Kelley, and Mark Gardiner, a marketing executive, who took a job there as a floor clerk, to find out how the secretive company attracts loyal superfans like Julie Geller, and Russ and Sandy Shelley. Ever wonder why you have nothing but love for some brands, and hate others with a passion? 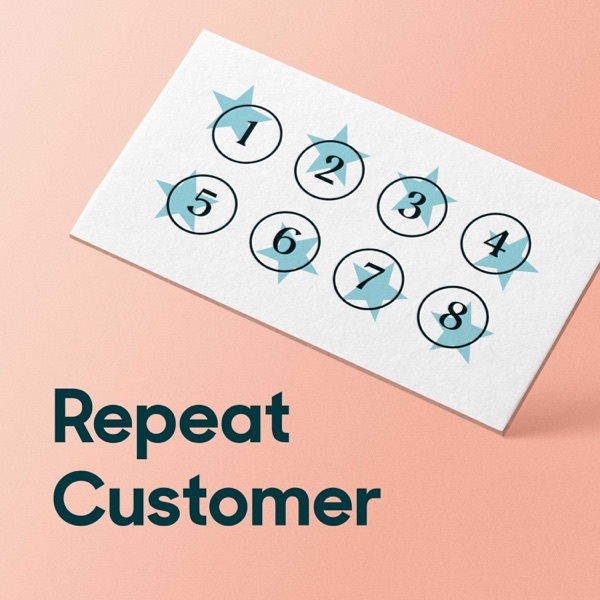 Introducing Repeat Customer, a show about great customer experiences. How companies create them, and why superfans love them so much.